Travelers, tour operators, and others clue us in on today's top bargains! Started by Ed Wetschler. Last reply by Ed Wetschler Aug 31, 2017. Started by Tony Humphrey Aug 29, 2017. Started by Tony Humphrey Nov 28, 2014. You need to be a member of Deals & Packages to add comments! 3 Days Blue Cruise Experience in Turkey. The cruise departs from Fethiye on every day between April and October, tour ends in Fethiye. With this cruise you will discover Fethiye, Butterfly Valley, Oludeniz, Saint Nicholas Island, Aquarium Bay, Kas, Kocakari Bay, Sunken City, Simena Castle, Ucagiz Bay, Kekova and Demre. As Veteran’s Day approaches, Coconut Bay Beach Resort & Spa says thank you to all military personnel, first responders and their families for their courageous dedication and sacrifices with their annual Heroes Package. Special all-inclusive rates start at US$122 per person, per night based on double occupancy, an additional 10% savings off already low fall rates, for direct bookings now through November 30 and travel through December 20, 2013 using booking code VET13. The Heroes Package is available to active duty and retired military, first responders including law enforcement, fire department, EMT and EMS, their spouses and dependents. Valid identification is required to qualify. To book the Heroes Package call Coconut Bay Beach Resort & Spa toll-free from North America at 877-352-8898 or visit cbayresort.com, booking code VET13. It's the Spring Fever Promotion at The World on Wheels﻿. 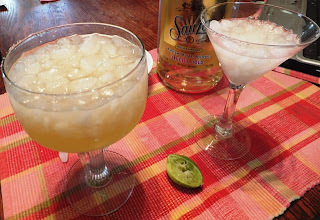 Go to the link below, enjoy all the best margaritas this state has to offer, then follow the links to Amazon to get a FREE copy of our e-book, "Golden State Eating." Hurry...free promotion ends tomorrow. Dazzling US Dollar Rates at The Athenaeum - It Just Makes Cent$! With London abuzz in activities this year – including The World Shakespeare Festival, Buckingham Palace tours and the numerous exhibits at the V&A -- it’s a great time to visit one of the world’s most fascinating cities. And The athenaeum’s re-vamped US dollar rates makes it easier and more economical than ever to enjoy London in five-star luxury at reasonable prices. In addition, the hotel has included a number of value-added extras to make a sweet deal even sweeter. From August 14th thru December 31st, guests can experience The athenaeum for as little as $579 per night in a deluxe guestroom, $679 per night for a Park view room, and $999 per night for a Green Park Suite or one-bedroom apartment. The hotel is also offering a second room in the same category for 50% off. So, a second deluxe room would run $290, a Park view Room $340 and a Green Park Suite or apartment $499 respectively. Many interconnecting rooms are available, making this a perfect deal for traveling families. This offer also includes full English breakfast, all drinks and snacks from the mini-bar, free Wi-Fi and tax (at the prevailing rate of 20%). Kids 12 and under eat free when dining with an adult. And there’s more! Book three nights and the hotel will throw in a one-way car transfer from Heathrow or Gatwick Airport. Book five nights and you’ll receive a complimentary round-trip car transfer. The hotel’s expert concierge staff is always happy to help organize your itinerary. There’s even y a dedicated children’s concierge for the little ones. Located in fashionable Mayfair, just steps from Buckingham Palace and the best shopping in London, The athenaeum is a family-owned and family-friendly five-star hotel known for its exterior vertical garden wall and the Apartments at The athenaeum. Recently redecorated and redesigned, the 18 one-bedroom apartments are ideal for business travelers and families, offering overnight and long-term guests the space, convenience and privacy of their own home along with all the five-star amenities of the hotel. The athenaeum also features the new athenaeum Spa; the Restaurant; the Garden Room, home to an award-winning afternoon tea; and the Whisky Bar, which offers the most extensive selection of whiskies in London and a full-time whisky sommelier. Other hotel highlights include complimentary Wi-Fi, babysitting, minibar snacks and meals for children. www.athenaeumhotel.com or info@athenaeumhotel.com ,116 Piccadilly, Mayfair, London W1J 7BJ. The toll free reservation number is 1-800-335-3300. Travel professionals may book via GDS (chain code YX). We've heard that some travelers have had problems getting their tickets to hike Huayna Picchu. We can get tickets if anyone needs them. Just let me know your dates. We'll deliver to your hotel in Cusco. If not available, you get full refund. Home to 8 of the worlds' 10 highest mountain peaks and the tallest of them, Mount Everest, Nepal sits pretty on the shoulder of the Indian subcontinent. No, we couldn't arrange for an excursion to the Everest but we've got something equally incredible. This week-long trip will take you on a fun-filled ride from the cultural city of Kathmandu to the lake-side town of Pokhara chockablock with bars & restaurants and perfect for embarking on treks and indulging in adventure activities. And when you are done and satiated, we'll take you to the hills of Nagarkot; quiet times amidst salubrious air and pristine surroundings, guaranteed! Nepal Travel Experts support responsible,green and eco friendly Tours and Travel. This vacation let the crisp clean air and the beautiful vista of Pokhara and Kathmandu greet you with memories for a life time. Packed in a 5-day getaway this is your chance to experience the Himalayan breeze on your cheeks and the glorious mornings on your face. Set off to Nepal with this exciting holiday and we promise be glad of your decision.